This world-famous destination just outside of Paris has lived in the imaginations of art lovers for many generations as history’s most shining example of absolute splendour. In the reign of Louis XIV, this became the official residence of the Court of France. The 'Sun King', a devout connoisseur of arts and architecture, spared no effort to remake his father’s modest château into the grandest palace the world had ever seen, and a symbol of the king’s undisputed power. The magnificent grounds include the orangery, the stables, the lodgings and the gardens, all of which convey the ultimate formal grandeur. 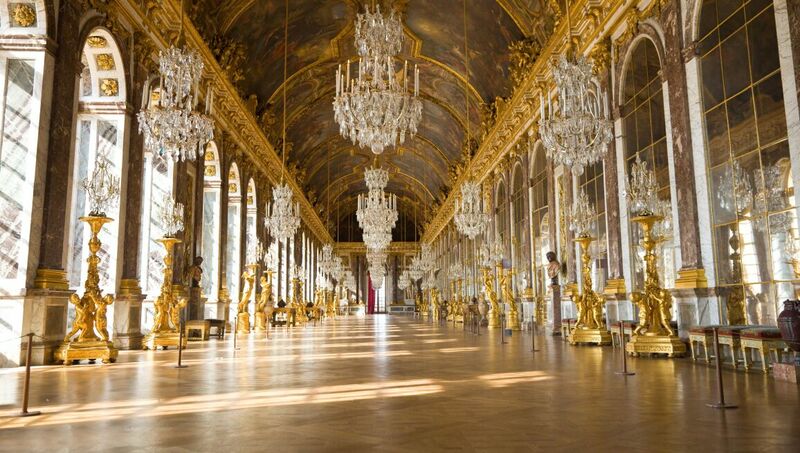 Especially extraordinary are the State Apartments and the Hall of Mirrors. A charming contrast is Queen Marie-Antoinette’s own favourite residence, the Petit Trianon, which she famously transformed into a picturesque fantasy landscape garden and village.